Extruded or laminated PE foams are extremely tough and resilient. End caps and protective pads fashioned from PE can be repeatedly deflected, and will return to their original shape with little or no reduction in protective performance. PE foam is closed cell, and performs well on both chemical resistance and low moisture absorption. 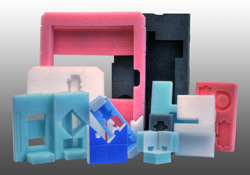 Polyethylene foams are easily fabricated and can be worked by a variety of methods including sawing, die-cutting, hot-knifing, water jet cutting and welding. 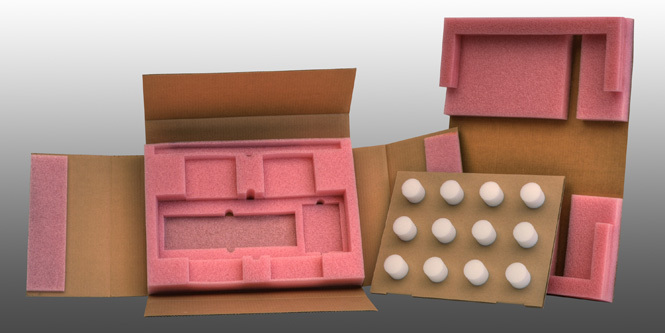 Polyethylene foams are offered in a broad range of densities ranging from 1.2 pcf (pounds per cubic foot) to 9 pcf, making it an ideal candidate for use in protective packaging over a wide range of product weight, product size and fragility.